Description: Mates Rates Real Estate Australia is delighted to be marketing this sunny 2 bedroom apartment at 8/150 Monaro Crescent, Red Hill. 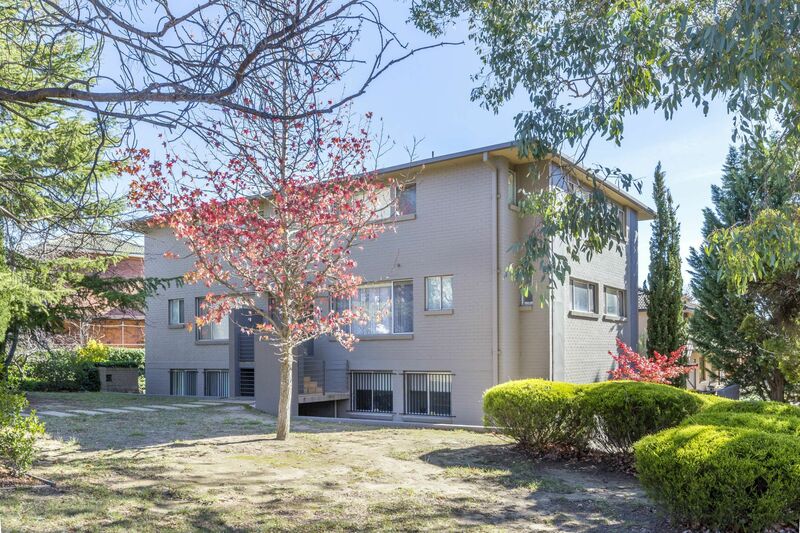 Ideally located in the exclusive suburb of Red Hill, you are close to the shops, parks, schools and the hub of Manuka. What you will really love about this apartment is the sunny Northerly aspect. The large lounge and kitchen areas are bathed in natural light from the windows and large glass doors that exit onto a private balcony. Unlike many apartments, the bedrooms are huge, with the master being especially oversized. Both have built-in mirrored wardrobes. The kitchen is neat and clean, has plenty of cupboard space and includes a dishwasher. The bathroom too, has been renovated and has floor to ceiling tiles and an internal laundry. This is a comfortable apartment to live in with reverse-cycle air-conditioning and sparkling downlights. The property is currently rented month-to-month at $360 P/W, so is available with vacant possession, or you may like to keep the excellent tenants on. -	EER 0, B/C $961, P/Q Rates $1773, Size: 86m2 approx.